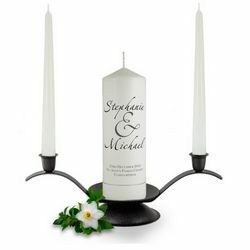 All of our quality designer unity candle range can be personalised with the names of the bride and groom and the wedding date. 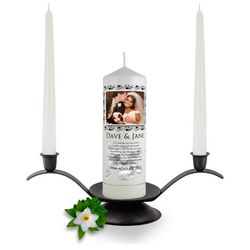 Create a wonderful keepsake today and give the loving couple an endearing memory of their special day. The lighting of the unity candle offers the most reflective moment during a wedding ceremony. 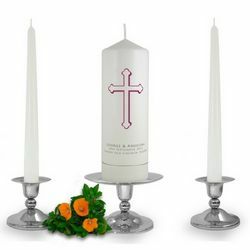 Brinley Williams understands that this needs to be perfect. 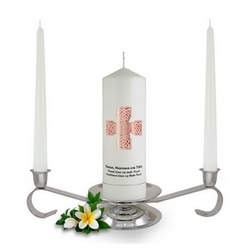 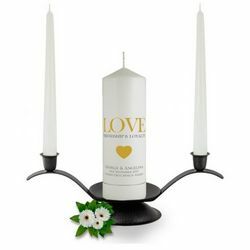 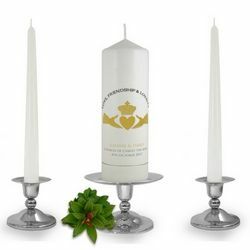 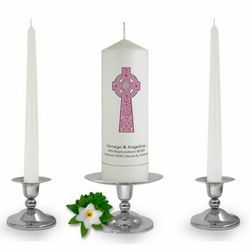 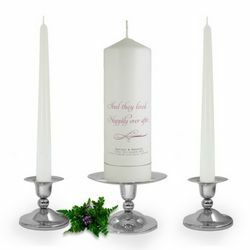 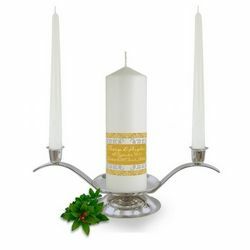 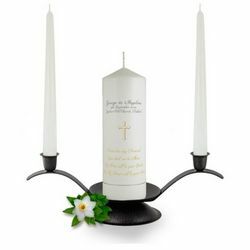 Our range of bride & groom unity candle set, Celtic Brooch unity candle and champagne glasses unity candle among many others will truly stand out at your wedding ceremony site. 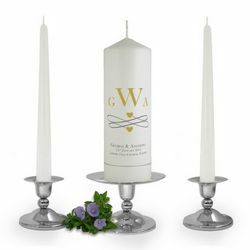 Elegantly decorated our unity candles are engraved with signs and words that will be a beautiful motivation for your very special day. 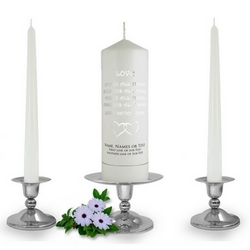 You’ve never seen more gorgeous candles! 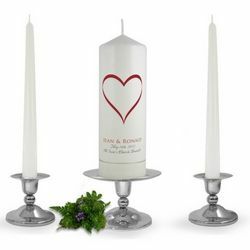 All our candles are exclusively and customized for each couple. 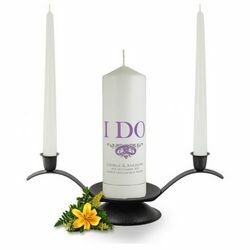 This distinctive candle provides an element that is just as unique as your newly married status. 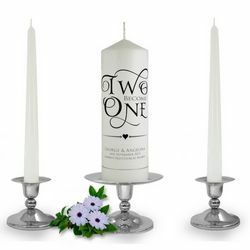 By representing both of your beliefs, our unity candles can still double as a wonderful decoration for your corner table; actively displaying your new love and family throughout the years. 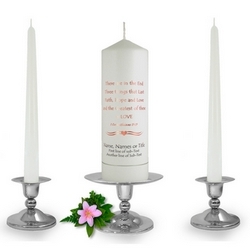 Designed to be a focal point of interest at your wedding ceremony, it comes with the option to personalise the top and bottom portions of their circle with bride & groom names, your wedding date or a special message. 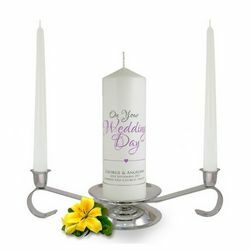 With a great, tailor-made selection for you, you can never go wrong on your big day with our perfect sets of unity candles.